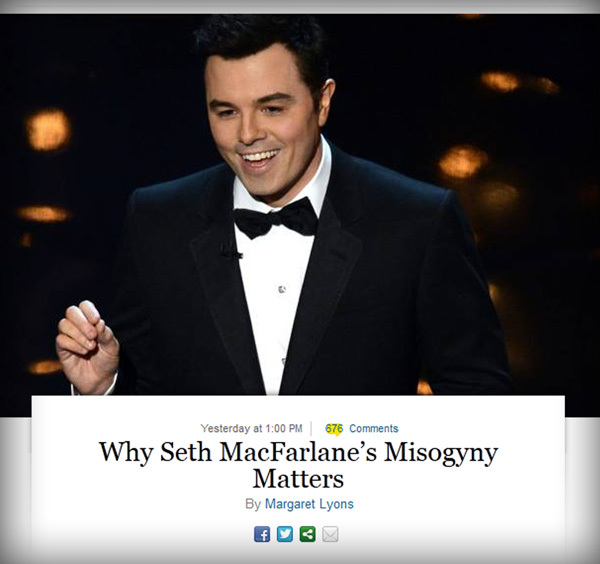 Hollywood Vulture » Feminism Vs. Seth MacFarlane. Feminism Wins. 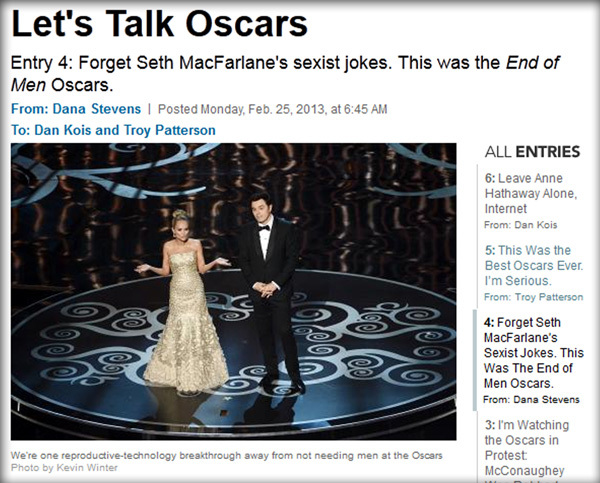 Home > Vulture News	> Feminism Vs. Seth MacFarlane. Feminism Wins. 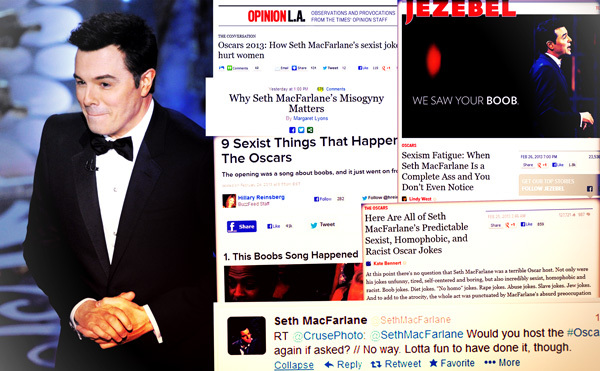 Feminism Vs. Seth MacFarlane. Feminism Wins. 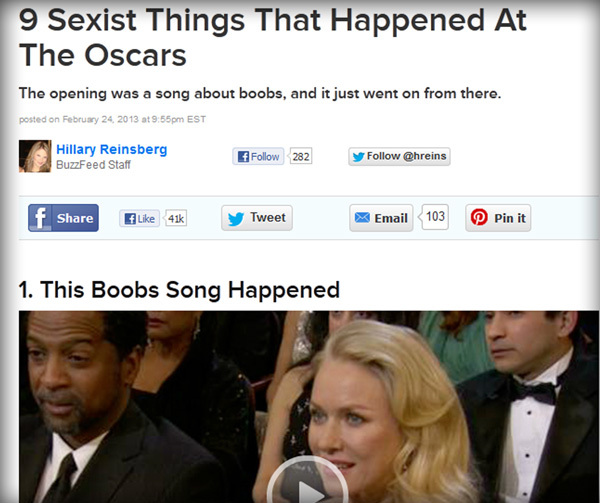 Hosting the Oscars is a fool’s errand, no matter how skilled the performer. Any attempts to add fresh elements to the show don’t change the fact that the fundamental structure of the ceremony always remains the same. As do the complaints that it’s overlong, tacky and not funny. For every beloved repeat host like Billy Crystal, there’s been one time hosts such as David Letterman, Chris Rock and Ellen Degeneres to name just a few. 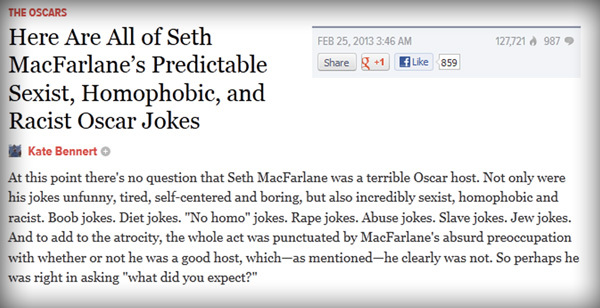 And while each of them had tough critics, none had to deal with the level of feminist outrage that Seth MacFarlane inspired with his hosting gig. Taking a look at some recent headlines regarding MacFarlanes Oscar performance, makes the unenthusiastic reaction to Letterman’s, “Oprah, Uma,” gag in 1994 seem like a warm reception in comparison. 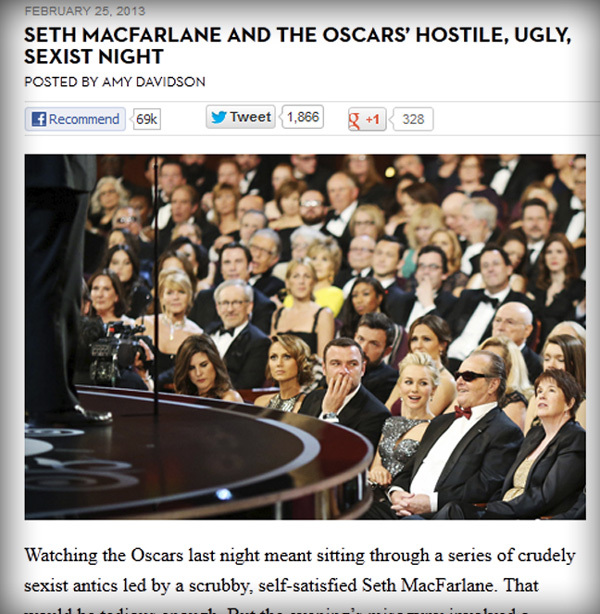 It’s no surprise that in the aftermath of the united negative response of pretty much the entire female blogosphere, MacFarlane said, “No Way,” when asked if he would host the Oscars again via his Twitter account.